Clinic Synopsis: Music and education of today and the future are discussed from perspective of an eclectic career in teaching, performing, music administration, university senior administration, and 60 years on The Midwest Clinic staff and board. Performance has always been the most effective way to teach and learn music. Ever increasing sophistication of school orchestras, bands and jazz ensembles has brought concurrent elevation of educational values. Government and public expectations for music to be in the core of education can strengthen both selective ensembles and experiences for all other students. There remain challenges to ensure that performance brings general knowledge and understanding of music, that school music experiences are carried forward in life-long enrichment and that music is woven into the fabric of community life. The Midwest Clinic will continue to inspire educators, other musicians, students, their parents, and professions that support music. Clinician Biographical Information David C. McCormick is a conductor, teacher, tuba player, researcher, and university administrator. He believes that each of those activities enhances the others and that high school band director is the most important. His career began as a tuba player in The United States Army Band (“Pershing’s Own”) of Washington, D.C., followed by service as band and orchestra director at Manchester College (North Manchester, Indiana) and at the J. Sterling Morton High Schools (Cicero and Berwyn, Illinois). At Southeastern Louisiana University (Hammond) he was professor, president of the faculty senate, music department head, assistant vice president for academic affairs, and executive assistant to the president. McCormick then became vice president for academic and research affairs and interim president of the University of Louisiana System. 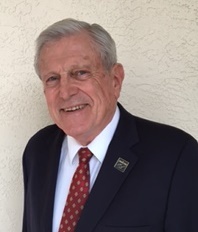 After an appointment as visiting scholar in the Center for Studies in Higher Education, University of California (Berkeley), he became dean and chief executive officer of the University of South Florida Fort Myers Campus, leading that branch unit through expansion to become the core of the newly created Florida Gulf Coast University in 1997. He holds the Ph.D. in music and M.M. in tuba performance from Northwestern University (Evanston, Illinois), and the B.Mus.Ed. from Southeastern Louisiana University (Hammond). Elementary and secondary education were in his native Destrehan, Louisiana. Concurrent with the career in education, McCormick has been occasionally engaged as a professional tuba player. He has also served internationally as guest conductor, lecturer, clinician, adjudicator, and in various roles in state music educator associations, arts councils, the National Association of Schools of Music, College Band Directors National Association, National Band Association (co-founder and vice president), National Forum of System Academic Officers, and the Association of Concert Bands. His longest service, 1956-2016, was on the staff and board of The Midwest Clinic—International Band and Orchestra Conference With the opening of Florida Gulf Coast University in 1997, McCormick retired from university administration and resumed more activity as a community activist, music clinician, researcher and conductor. For recreation, he plays tuba in community ensembles. He and his wife Connie reside in Fort Myers, Florida, and enjoy community service, travel and their large melded family. David C. McCormick has a passion to bring the excitement and human values of education and great music to all people, with no limitations of demographics, geography or national boundaries.